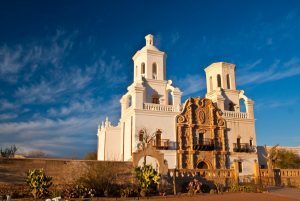 Tucson is one of the top destinations in Arizona and a major American city with a population of 526,000. This beautiful place is known for its great weather and the plethora of outdoor activities it offers. Here you can enjoy national forests and parks and explore the desert. But those are not the only things Tucson is known for. It has a rich history and cultural heritage, so you will not be disappointed visiting its museums and old neighborhoods. Some people fall in love with Tucson and choose to stay here. If you are moving to Tucson, we recommend that you consider car transport. Our company will be happy to ship your car from Philadelphia, PA to Tucson, AZ! Moving from Philadelphia to Tucson means crossing most of the country. If you are thinking of moving your car on your own, prepare yourself for driving over 2,300 miles and spending over 30 hours behind the wheel. It is not only tiring and stressful, but it is also not cheap due to gas expenses. Moreover, you will not be driving for 30 hours straight, so you should also factor in possible motel bills. Luckily, you can just ship your car instead. With Philadelphia Car Transport you can move your car across the country safely and affordably. Our team will be happy to assist you with Tucson car transport from Philadelphia and ship your car door-to-door. No hassle and no unnecessary expenses – we will save you money and time! Contact us today and get your free quote on shipping a car to Tucson from Philadelphia. We will be happy to assist you with a car shipping quote over the phone. You can also request a quote online on our website.